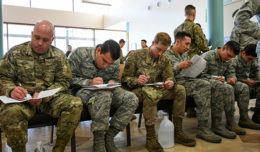 OBINS AIR FORCE BASE, Ga. (AFNS) — The Defense Department has given sexual assault victims a resource that helps them take control of their recovery process. Established in 2011, the DOD Safe Helpline is a crisis support service for members of the DOD community affected by sexual assault. 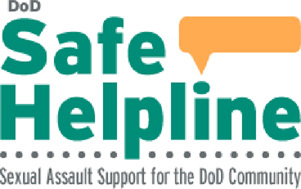 Safe Helpline provides live, one-on-one support and information to the worldwide DOD community. The service is confidential, anonymous, secure, and available 24/7 by click, call or text — providing victims with the help they need anytime, anywhere. 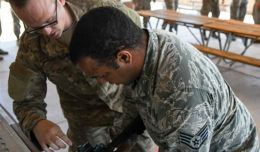 Lisa Matney, the 78th Air Base Wing sexual assault response coordinator, said the helpline will provide an avenue for victims to get additional support and encouragement to come forward and make a restricted or unrestricted report of sexual assault. The helpline provides live, confidential help through a secure instant-messaging format at SafeHelpline.org. The website also contains vital information about recovering from and reporting a sexual assault. Pamela Davis, the sexual assault prevention and response victim advocate at Robins AFB, said the helpline gives sexual assault victims the additional support they may need. “Some victims need additional avenues of support to obtain the courage to come forward and this resource can provide that additional support,” she said. Safe Helpline also provides live, confidential help over the phone. 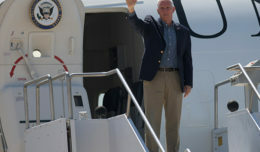 The telephone helpline staff can even transfer callers to base sexual assault response coordinators, Veterans Benefits Administration coordinators, Military OneSource, the National Suicide Prevention Lifeline, and civilian sexual assault service providers. The phone number is the same in the U.S. and worldwide via the Defense Switched Network. Safe Helpline can also provide referrals via text. By texting one’s zip code or base name to 55-247 inside the U.S., or 202-470-5546 outside the U.S., Safe Helpline will text back contact information for the installation SARC and other resources available on and off base. Message and data rates may apply. In addition to providing information for sexual assault victims, the helpline’s website also offers information for their loved ones to better understand and be able to help in the recovery process. “Individuals can use the web link to search for resources for their installation, so no matter where the person lives they can get help,” Matney said.